The Orchards Events Venue has a range of rooms and spaces to meet your requirements within a tranquil picturesque setting. 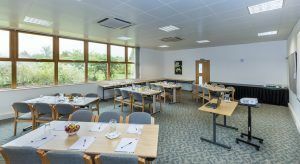 The Orchards conference suite has a wonderful view of the Kentish apple orchards. 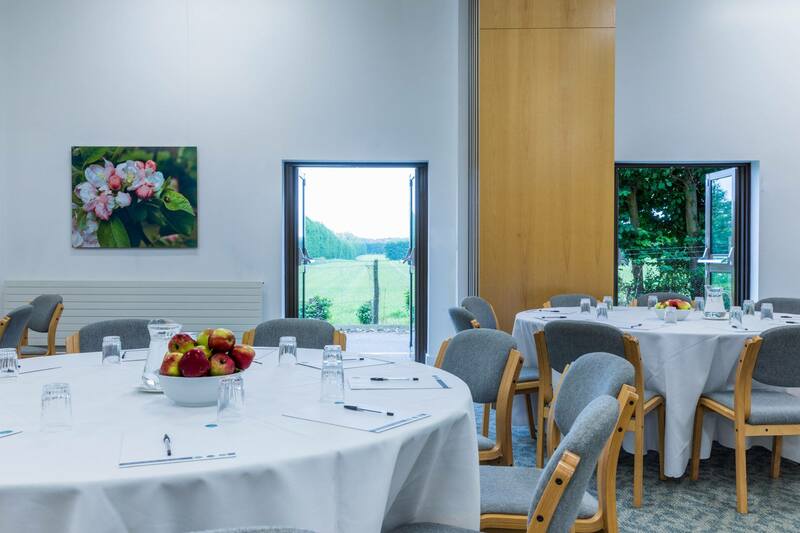 Our versatile venue can accommodate most meeting sizes from one to one meetings up to a 200 seated conference, we have a range of function rooms and exhibition spaces. Designed for full flexibility, each room is a blank canvas and can be tailored to your needs. The largest area with a large stage, with lectern and stage lighting, it is perfect for exhibitions, large presentations or AGMs. 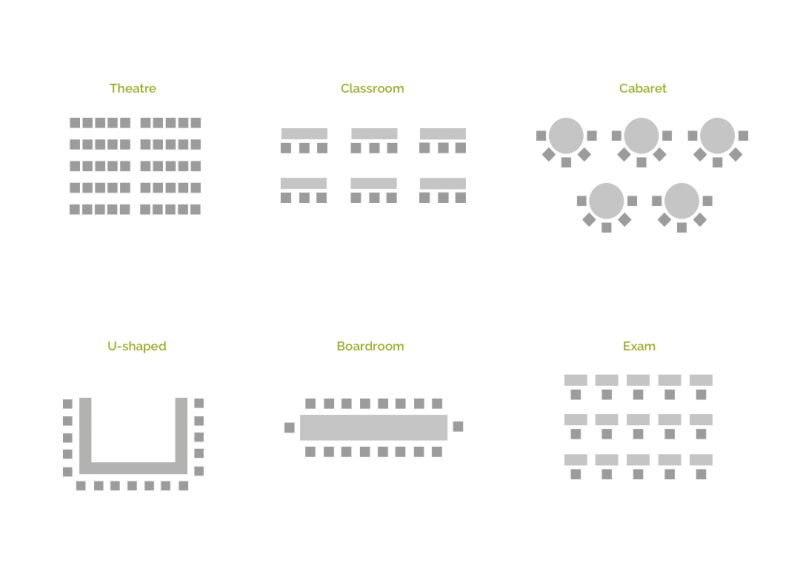 It can seat 200 delegates theatre style or 120 cabaret style and can be partitioned into two separate rooms. The second largest conference and meeting room, naturally light, suitable for meetings up to 100 delegates theatre style and 65 cabaret style. 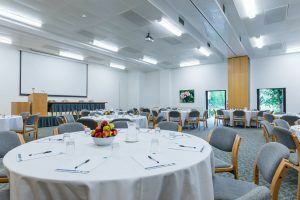 Facing onto our beautiful landscaped gardens, seating up to 60 delegates theatre style and 35 cabaret style. 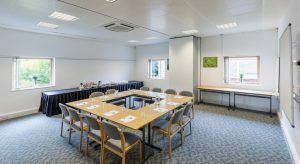 One of the smaller, more intimate meeting rooms, Pippin 1 and Pippin 2 offers views onto the landscaped gardens and can be partitioned and hired separately or together. 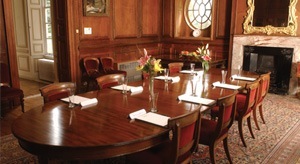 To find out more about meetings and conferences at Bradbourne House, please visit the Bradbourne House website.